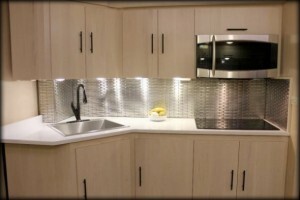 We install virtually every type of solid surface RV countertops imaginable. Solid surface countertops are versatile and durable. Easy to clean and comes in any color. We can retro-fit to your existing RV kitchen, or recreate a new counter or floorplan. Custom solid surface counters are classy and economical. Solid surface doesn’t show scratches. The nature of the material is such that it fits with and style. 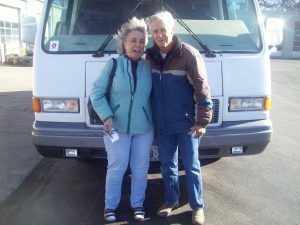 Solid granite RV countertops bring an elegance and opulence that other countertops just can’t match. We install granite counters in kitchens and bathrooms. Matching floors and backsplashes can bring the design together. A quality granite counter adds lasting value and distinction. Get bang for your buck. 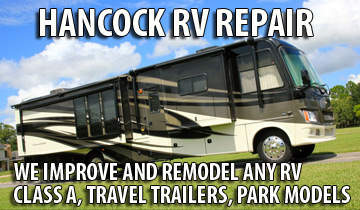 With Hancock’s low rates, even granite can be yours! 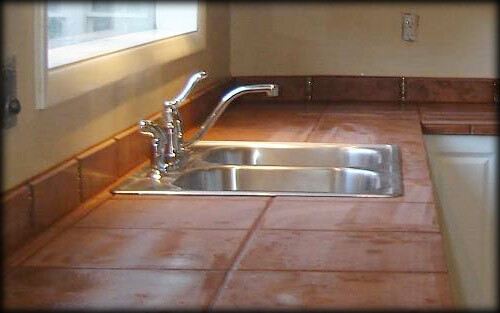 Tile countertops are the preference of many, and we can install and create these tile countertops to meet any style.